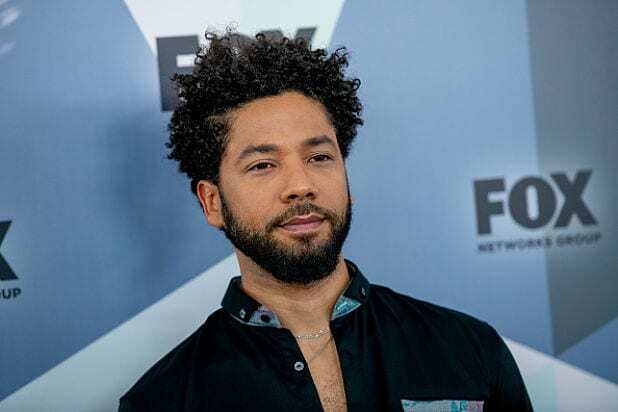 Jussie Smollett’s bail was set at $100,000 and the “Empire” star must surrender his passport, State of Illinois Circuit Court of Cook County Judge John Fitzgerald Lyke Jr. ruled during a bond hearing Thursday afternoon. TheWrap has learned the actor’s next court date has been set for March 14 at 11:30 a.m.
Smollett turned himself in to police at 5 a.m. CT this morning, hours after he was formally charged with filing a false police report. Minutes later, during the media conference’s Q&A portion, the police superintendent responded “yes” to a reporter who asked if that information came from brothers Olabinjo (“Ola”) and Abimbola (“Abel”) Osundairo, who were initially persons of interest. A day earlier, the studio had renewed its support of Smollett, saying, “Jussie Smollett continues to be a consummate professional on set and as we have previously stated, he is not being written out of the show.” That statement came amid reports, including one here, that Smollett’s role of Jamal Lyon would be reduced over the remainder of “Empire’s” fifth season.